In the Sprint 143 Update of Azure DevOps, we are introducing a new work item text editor that is much more powerful and easier to use. This is part of our effort to modernize and improve the experience across the product. 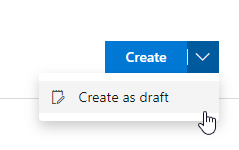 In Azure Repos, draft pull requests allow you to create a pull request that you are not yet ready to complete, so they can't be completed accidentally. We are also releasing some new features in Azure Artifacts, including the ability to exclude files in artifact uploads and get provenance information on packages. Every API request should include an api-version. However, if you are making a REST request to a previously released endpoint without an api-version, the default version of that request will switch from 4.1 to 5.0 with this deployment. For more information on REST and api-versions, please see Azure DevOps Services REST API Reference. We're excited to announce the general availability of the new text editor on the work item form. Our text editor has been outdated for a while, and this new experience will be a huge improvement. The new editor is more modern and powerful, bringing in new capabilities including resizing of images, code snippets, keyboard shortcuts for both Mac and Windows, and a full emoji library. Below, you can see the code snippet experience. With this addition, you can easily and clearly discuss code in the work item form. We really want to start making the work item a more social experience. Our first step in that journey is bringing emoji support to your text fields and discussions on the work item. Using emojis, you will be able to bring your descriptions and comments to life and give them a bit more personality! The work done for this editor is open source, so please feel free to check out the roosterjs repo on GitHub at https://github.com/Microsoft/roosterjs. 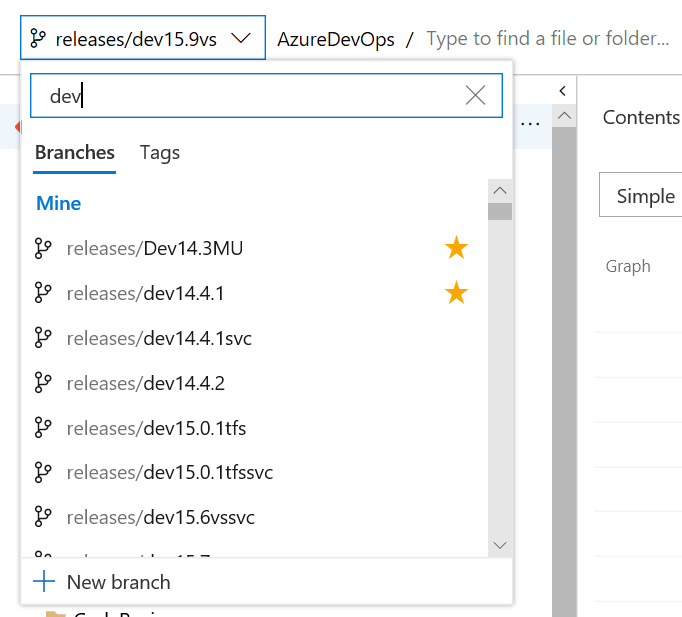 Most of the experiences in Azure Repos require you to select a repo and then a branch in that repo. To improve this experience for organizations with large number of branches, we are rolling out a new branch picker. The picker now allows you to select your favorite branches or quickly search for a branch. In order to prevent pull requests from being completed before they're ready and to make it easy to create work in progress that may not involve everyone, we now support draft pull requests. 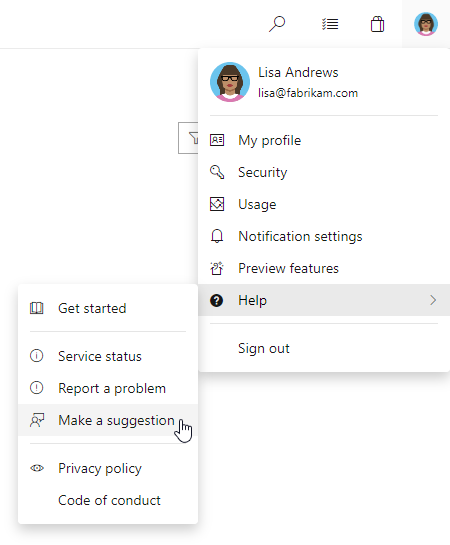 Draft pull requests can be created by selecting Create as draft from the Create button drop down when creating a pull request. Once you have created a draft pull request, you will see a badge indicating its status next to the title. Draft pull requests do not include reviewers or run builds by default but allow you to manually add reviewers and run builds. To promote the pull request to a normal pull request, simply click the Publish button from the pull request detail page. YAML pipelines can be triggered when tags are added to a commit. This is valuable for teams whose workflows include tags. For instance, you can kick off a process when a commit is tagged as the "last known good". By default, pipelines triggered by pull requests (PRs) will be canceled if a new commit is pushed to the same PR. This is desirable in most cases since usually you don't want to continue running a pipeline on out-of-date code. If you don't want this behavior, you can add autoCancel: false to your PR trigger. Previously, we required you to declare your container resources in YAML pipelines, then reference them by name. We now offer an inline syntax for cases where you aren't going to refer to the container multiple times. Up until now, project contributors could not create pipelines unless they are explicitly given Create build definition permission. Now, for new projects, all team members can readily create and update pipelines. This change will reduce the friction for new customers that are on-boarding to Azure Pipelines. You can always update the default permissions on the Contributors group and restrict their access. By default, Azure Pipelines used to re-run all jobs when you redeploy a previously failed run. Now, you can override this behavior by configuring the Deployment Option when deploying. By selecting the All jobs and limit to failed targets in a deployment group option, the re-run will run all the jobs and skip the deployments to the targets that are already up to date. We are adding support of Infrastructure as Code (IaC) to our Azure DevOps projects. IaC is a process of managing and provisioning computing infrastructure with some declarative approach, while setting their configuration using definition files instead of traditional interactive configuration tools. This will enable you to work with the resources in your solution as a group. You can deploy, update, or delete all the resources for your solution using a template for deployment. This template can be used for different environments such as testing, staging, and production. Previously, in order to exclude files from published artifacts, you would have to copy the files to a staging directory, remove the files to be excluded, and then upload. Now, both Universal Packages and Pipeline Artifacts will look for a file called .artifactignore in the directory being uploaded to and automatically exclude those files, removing the need for a staging directory. With this update, we've made it a bit easier to understand the provenance of your packages, including who or what published them and what source code commit they came from. This information is populated automatically for all packages published using the npm, NuGet and .NET Core, Twine Authenticate (for Python), and Universal Packages tasks. 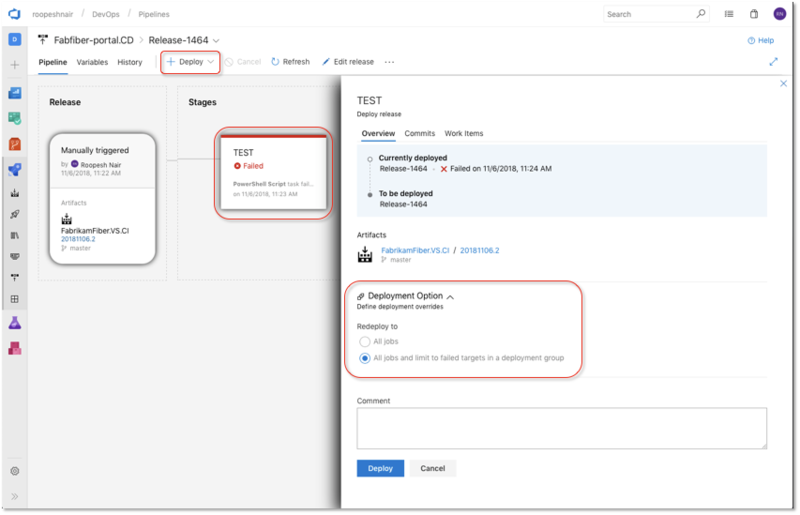 With this sprint's update, we're rolling out substantial updates to the documentation of the Azure Artifacts REST APIs, which should make it easier to develop against them in your own applications.